Rotation occurs when an object is turned around a fixed point. This point is called the center of rotation. We need three things to describe a rotation. 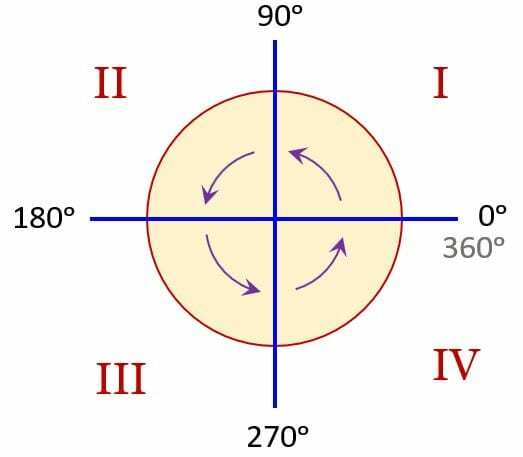 3) The center of rotation (this is the fixed point about which an object moves, always give as a coordinate). When working in the coordinate plane, assume the center of rotation to be the origin. Clockwise means moving in the direction of the hands on a clock. “The clock hands rotate in a clockwise direction“. In a Coordinate Plane, angles are measured counterclockwise, as shown. An angle measured counter-clockwise is positive, and an angle measured clockwise is negative. When a point rotates 90⁰, (a quarter turn) the X and Y values SWITCH places, and the Y becomes the opposite (sign changes). 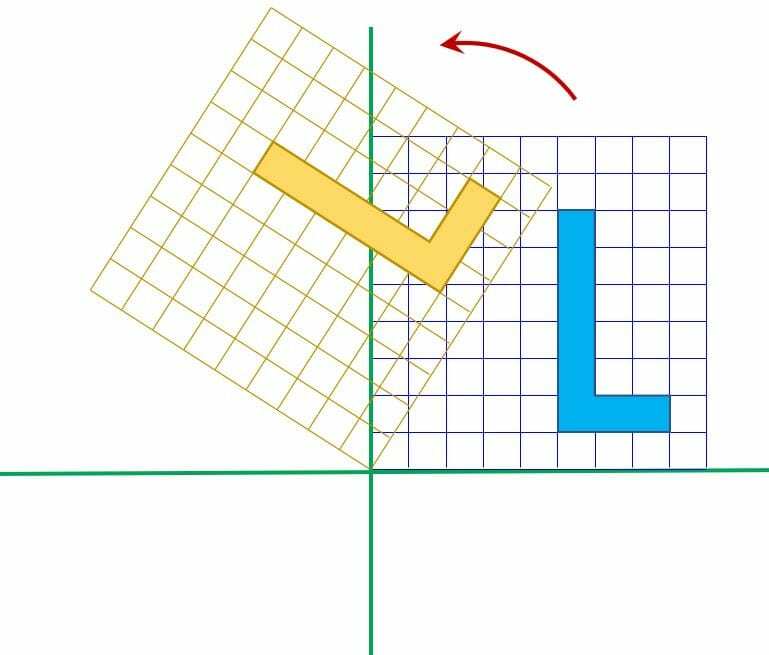 The reason the X and Y values switch places is due to the X-axis and Y-axis switching places during the rotation. See the figure. When a point rotates 180⁰ clockwise, you will need to apply the rule (x, y) → (-x, -y). In other words, the coordinates are the same, but the signs are different. When a point rotates 270⁰, (three-quarters turn) the X and Y values SWITCH places, and the X becomes the opposite (sign changes).